This week we showed you how to spend 20 days at hotels for only 3,000 points per night; how to enjoy the heck out of Costa Rica, and how to eke out every last drop of benefit from your Amex Platinum card. Beyond those things, the week was all about Marriott: elite status shortcuts, credit card opportunities, etc. All that and more in today’s Frequent Miler week in review. When Stephen posted his Quick Deal about the latest Radisson promo, I didn’t think much about it at first. But, I was drawn to the fact (which Stephen pointed out) that this promo would earn bonus points for award nights. Most promos require paid nights. Stephen also pointed out that if you max out the promo with 20 nights, you’ll earn an average of 6,000 points per night. And, since Radisson Rewards Category 1 hotels cost only 9,000 points per night, this means that it’s possible to get Category 1 award nights for a net cost of only 3,000 points per night. JM Hoffman is back with his latest destination guide, and it has me itching to return to Costa Rica. Unfortunately there are no Category 1 Radisson hotels in Costa Rica so you might have to spend more than 3K points per night…. Even if you don’t want to read the guide, I highly recommend scanning through the pictures. As usual, they’re gorgeous. This post guides you through all of the Amex Platinum perks. If you just got a Platinum card, this is a must read. If you’ve had one for a while, you might want to check this out anyway to make sure you’re getting the most out of your card. You already read this post? Did you know that the post has been updated since it was published earlier this week? Thanks to reader suggestions I added a couple more hotel elite programs that you get access to. It’s worth a look. 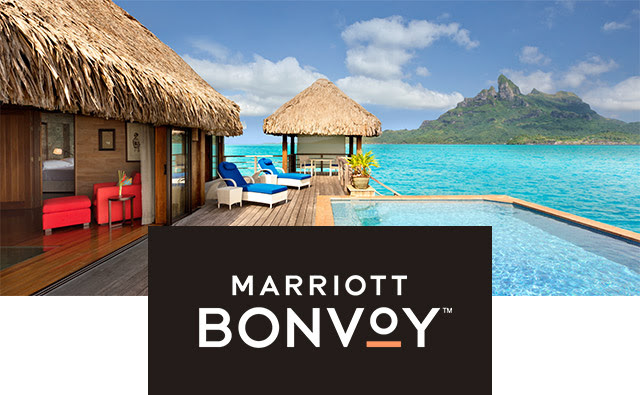 This is the resource for everything you need to know about Marriott’s new all-in-one program. I don’t recommend reading the whole thing (it’s long! ), but I do recommend bookmarking it. I have a number of additions and enhancements planned for this post, so don’t think of it as a one and done type of thing. It will grow and change over time. I’ve posted shortcuts to Marriott elite status before, but this is the first comprehensive post on the topic since the Marriott SPG merge-apocalypse. Earlier this week, this post was titled “10 Shortcuts…” but yesterday I added another. Happy birthday to you. Downgrade from Lux/Brilliant to SPG/Bonvoy? Yes, it will be an option. What do you think of the new design for what was the SPG card? I love it, but many others seem to hate it. That’s it for this week at Frequent Miler. Check back soon for this week’s last chance deals.